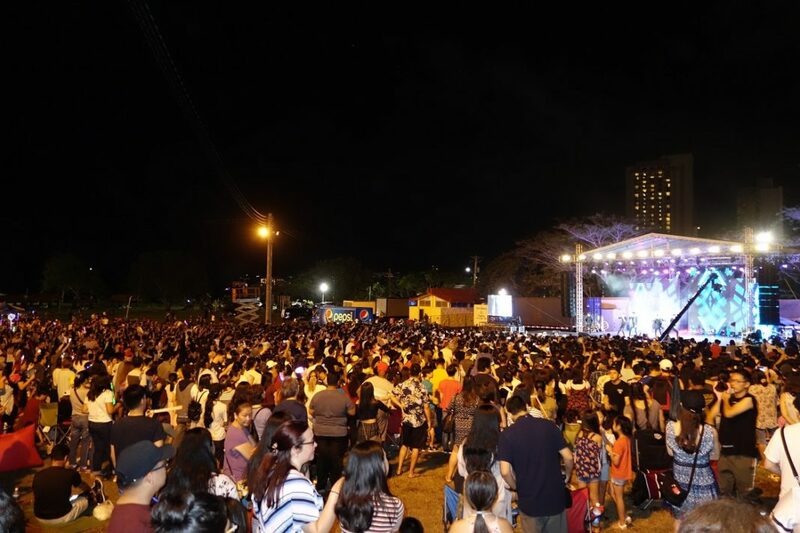 The Guam Visitors Bureau (GVB) is proud to announce that over 5,000 people attended the MBC Music K-Pop Concert on Guam at Governor Joseph F. Flores Memorial (Ypao Beach) Park on December 1. As the largest K-Pop concert to ever be held in the region, the event was filmed as a made-for-tv special by Korea’s top entertainment network, Munhwa Broadcasting Corporation (MBC). The concert will air as a 90-minute special in winter 2018 with over 23 million viewers anticipated to watch on MBC’s networks throughout the world. The concert featured global K-Pop sensation Twice, as well as Supernova, JBJ95, Mighty Mouth, and H.U.B. Local groups Inetnon Gefpå’go and Skip Entertainment kicked off the free concert with their award-winning performances. Of the thousands in attendance, 74% were local residents and 26% were international visitors. Preliminary numbers show that 3,417 concert-goers were Guam residents, in addition to 467 Korea residents, 382 Japan residents, 226 U.S. residents, 115 Philippines residents, 89 Greater China residents, and 17 Russia residents. Additionally, the Guam Police Department, Guam Fire Department, Visitor Safety Officers and members of the private sector worked together with GVB to keep the event grounds safe for concert-goers. The event also had a variety of vendors for food, drinks, merchandise, and other products. It also provided family-friendly activities, such as face painting, and featured a visiting delegation from Boryeong, South Korea that promoted their city’s annual mud festival. The MBC Music K-Pop Concert on Guam was presented by Lotte Duty Free, along with other sponsors including Bank of Guam, IT&E, Grid Corporation, The Guam Daily Post, Pepsi Guam, ABC stores, Foody’s Guam, The Westin Resort Guam, and Modetour. Special thanks is given to South Pacific Petroleum Corporation, Nault Tech, Med Farm, Royal Bics, CNMI Office of the Governor, Guam Music Inc., Gil Shinohara, Guam Premier Outlets, Tumon Sands Plaza, JCT Rental, NetTours, Japan Bus Lines, T Galleria by DFS, Happy Idea Company, Officer of the Governor and Lt. Governor, and Department of Parks and Recreation. Is UNWTO suffering of an induced coma? Minor cruise passenger allegedly assaults another minor passenger: Is parent liable?